You no longer need to find the right greeting card or right gift wrapping paper. 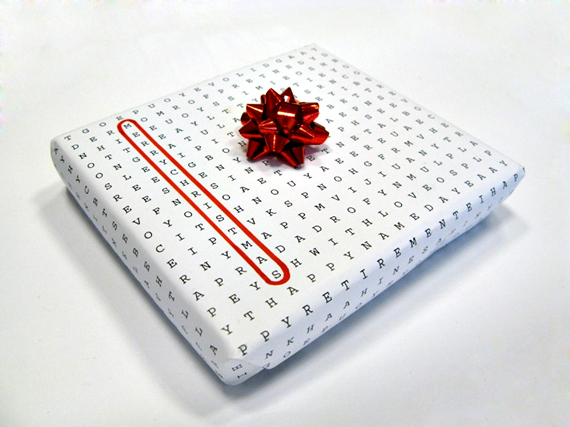 With the genius Word Puzzle Universal Wrapping Paper, one roll covers every occasion. Simply find that occasion on the puzzle, which is just plain fun, and circle it. Custom gift wrap for a variety of recipients and holidays.